Article: Nickelodeon’s “Rise Of The Teenage Mutant Ninja Turtles” Is Making Its Way Down The New York City Streets In A Fantastic Float At The Macy’s Thanksgiving Day Parade! In addition to all of the delicious food and the time that we get to cherish with family and friends, one of the many things that we really look forward to on Thanksgiving is the iconic and renowned Macy’s Thanksgiving Day Parade! We are always filled with so much joy to see all of the wonderful floats, the out-of-this-world and enormous balloons and all of the terrific performances. Well, fans get to look forward to seeing Raphael, Donatello, Michaelangelo and Leonardo roam the streets of New York City and join everyone during their Thanksgiving festivities at this year’s Macy’s Thanksgiving Day Parade. Rise of the Teenage Mutant Ninja Turtles, the reimagined 2D-animated series, will have its very own float at the magnificent parade. 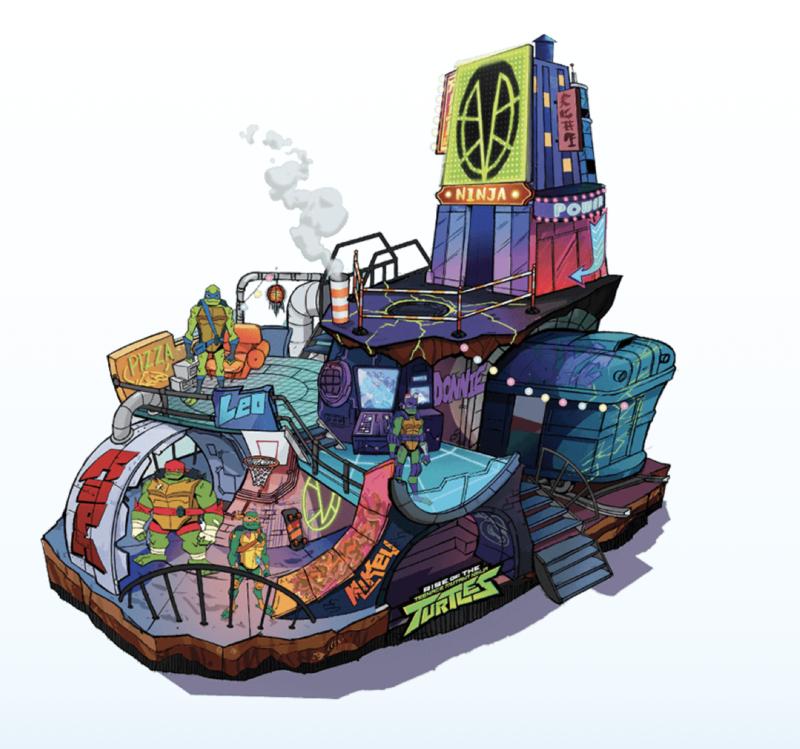 The float is bound to be a fan-favorite with its multi-tiered design of the turtles’ underground lair including lighting and special fog effects. Nickelodeon fans also get to see the legendary SpongeBob SquarePants balloon making his way from Bikini Bottom to the streets of the Big Apple. A PAW Patrol Chase balloon will also be seen at the parade. Shimmer and Shine will dazzle the parade with a fabulous float at the event. Be sure to catch your fave Nickelodeon characters at the 92nd Annual Macy’s Thanksgiving Day Parade airing on Thursday, November 22nd from 9:00 AM to noon on NBC! Previous VIPAccessEXCLUSIVE: Director Michael Dweck’s “The Last Race” Is An Adrenaline-Filled, Incredible Documentary That Everyone Should Race On Over To See – RECAP Of The Special Screening Event Here! Next VIPAccessEXCLUSIVE: Lisa Vanderpump, Mario Lopez, Chaz Dean And Many More Amazing Celebrities Showed Their Support At The 3rd Annual Vanderpump Dog Foundation Gala – Recap Here!